The Reserve Bank of India's announcement on cryptocurrency has not only stirred the market but left both the traders and investors in a state of loss with many of them thinking of wrapping up their operations. Last week, the RBI, in its first bi-monthly Monetary Policy Committee meeting of this fiscal, announced that regulated entities already providing services to any individual or business dealing in digital currencies have been given three months to exit the relationship. "The RBI has cautioned on at least three occasions members of the public and users of virtual currency regarding risks they are exposing themselves to through these cryptocurrencies," RBI Deputy Governor B.P. Kanungo said. "We have now decided to fence RBI-regulated entities from the risk of dealing with entities associated with virtual currencies. They are required to stop having a business relationship with entities dealing with virtual currencies forthwith, and unwind the existing relationship within three months," he added. Finance Minister Arun Jaitley had said in his Union Budget speech that crypto-currencies were not recognized as legal tender. "This unprecedented move by the RBI has stirred the market and impacted the industry at various levels. The exchanges have witnessed a steep decline in daily trade volumes and price fall for all tokens. In addition, traders who were looking at long-term investment through crypto assets will suffer heavy losses, especially those who have made hefty investments, out of their livelihood savings," Rahul Raj, Co-Founder, and CEO, Koinex, told IANS. 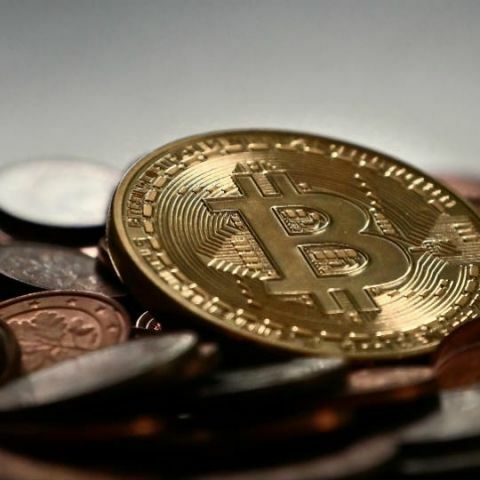 While Praveenkumar Vijayakumar, Founder, and CEO, Belfrics Global, said the announcement is an end of the road for many Indian exchanges and a clear letdown for new investors, it is not going to have much effect on cryptocurrency transactions in the long run. "As and when global prices advance, Indians will find their way to get these assets through p2p (peer-to-peer) markets," he told IANS. "Nowhere it is stated that cryptos are illegal. The only thing which has been stopped is banking service. If anybody can justify the cash amount for which they buy or sell the cryptoassets, the trading goes on," Bharat Verma, CEO and co-founder, Pluto Exchange, told IANS. "This move by the RBI might see an irreversible negative ripple effect across the ecosystem. So, overall, the mood in the market is dismal," said Rahul Raj. The industry stakeholders also rued the fact that they were not consulted before RBI took its decision. "Before taking this decision, industry participants were not consulted, public debates were not initiated and public opinion polls were not undertaken. Even the findings of the committee were not published. The world is moving towards more efficient money and technology. We currently have billions of dollars being transacted in the form of cryptocurrencies, in a much more efficient and faster way than any central bank in the world can perform," said Vijayakumar. Belfrics stopped its cryptocurrency exchange operations in India when the banks had shut down its accounts. "Our blockchain technology division is very active in India as we serve government and private enterprises for blockchain-related consultancy and product development," he added. Headquartered in Malaysia, the Belfrics exchange is currently active in Kenya, Dubai, Malaysia, Singapore, Bahrain, Hong Kong, China and Indonesia. "This knee-jerk move by the RBI has adversely impacted the industry, but the directive has also given financial institutions a time frame to settle all the pending transactions with the exchanges. So, effectively, this time allotted can be used by traders to wisely transact on their crypto-assets. It is business as usual, at present," Rahul Raj said. He is also apprehensive that this move by the RBI might lure traders to do under-the-table dealings or make small trade through direct cash transactions, which cannot be accounted or regulated. "So, it might do more harm to the existing market and lead to illicit practices and the black market. We are hopeful that the government will allow a dialogue to resolve this situation," he added.But Verma is hopeful that RBI will give detailed information and guidelines by the end of June. "It appears as a positive decision in market of crypto." Asked whether he plans to wrap up his business, Verma said: "I will wait for the right thing and right time. Going out is an option too, but any decision right now will be too early to make."